Master of the Woods (Asperula ordorata) is a strongly scented, 12-20-inch long herbaceous perennial typically referred to as woodruff, sweet woodruff, and wild baby’s breath that is often used as a ground cover. Its four-petal white blooms appear between April and May. It has been used in perfumes, teas, and potpourris. You can buy herbal packets online at curio suppliers such as Lucky Mojo. According to catherine yronwode’s Hoodoo Herb and Root Magic–the primary source I used when writing my conjure novels–Master of the Woods is a “commanding and ruling herb.” This implies that uses, in or out of mojo bags, will include strength, protection, control over enemies, personal energy, and even getting a job. Mama Starr uses master of the woods, Jezebel root, calamus, loveage, and lavender boiled and steeped in water and placed in a spray bottle while ironing clothes along with a prayer and a petition that your target (a spouse, for example) will behave (whatever that might mean to you). You can also gain the upper hand over an opponent by sprinkling master of the woods in an area where that person will walk. Like many herbs, master of the woods can be used alone or in combination oils, water, minerals, and other herbs to provide a root doctor or hoodoo practioner with mastery over situations as well as opposing forces, including enemies and situations. Malcolm R. Campbell is the author of “Conjure Woman’s Cat” and other novels. This month I would like to mention several collections of poetry that speak to me. Let’s begin with Joy Harjo’s 1983 collection She Had Some Horses with its powerful title poem of the same name. Harjo’s poems are wind, rain, earth, fire, and spirit. Read them when you have time to meditation upon the pure, non-human and essential wildness of the natural world at its most basic and primitive level. This book is a good first step. The horse is my totem animal. Perhaps he nudged me into this book. Or maybe it was the wind or the gods. You will find your way into this marvel if the universe wills it. If so, you will never leave. Every time you walk from page to page you will be changed. That’s the nature of the words you’ll find here. “National Poetry Month was inaugurated by the Academy of American Poets in 1996. Over the years, it has become the largest literary celebration in the world with schools, publishers, libraries, booksellers, and poets celebrating poetry’s vital place in our culture. “Thank you for joining in the celebration by listing your events and attending other events in your community, displaying this year’s poster, participating in Poem in Your Pocket Day, recommending the Dear Poet project to a young person, signing up to read a Poem-a-Day, and checking out 30 more ways to celebrate. A time to celebrate for those who write poetry, read poetry, or simply find the existence of poetry makes for a better world. I try to stay away from badly written books and totally worthless movies. Yet, they might be goldmines! A writing professor of mine once said that he finds a lot of value in both because he used them as writing prompts. How? The challenge he saw in them was figuring out how to fix them. In the world of major publishers and agents, this is one of the editor’s jobs, though they don’t intentionally begin with something worthless. They begin with something that has promise but needs a lot of work. They help the author turn the work into something much better. You can practice your writing skills in a similar way by taking badly written books or movies and figuring out what makes them badly written and how you would fix them if you happened to work for a major publisher as the author’s editor. If you like writing prompts, fixing bad books–or scenes out of bad books–gives you an infinite number of exercises. Think of the kinds of complaints you read in one-star Amazon reviews: thin or unbelievable plot, one-dimensional characters, skimpy information about the novel’s setting, storyline padded out with too much description or lengthy and inane conversations that don’t move the plot forward, etc. Pick one scene and make it work. Make sure it’s a scene that requires better writing and not a scene you would cut altogether. For example, if there’s a section of lengthy description, try to re-write it at half the length. If the dialogue is inane, what can the characters say to each other at that point in the story that makes more sense? You can give yourself a bigger challenge by writing within the original author’s voice and style rather than your own. My professor thought that one way of learning how to diagnose and fix weaknesses in our own work was by diagnosing and correcting problems in the works of other writers. It’s an interesting exercise and, goodness knows, there are hundreds of books out there we can use for raw material. Critics have said that the best fiction is that which is so well written, readers feel they are actually there in the scenes observing the action and hearing the dialogue. We read books, I believe, when we need to read them even though our choices may be subconscious. This need probably includes escapist fiction, though I see that more as an emergency pain killer or probiotic than a self-improvement journey. A variety of book genres resonate with me. When there are lessons, large and small, and vicarious experiences, large and small, within them, then the process of reading becomes a positive journey. There may or may not be spiritual implications even though the story is providing something we need. We don’t always consciously know what we need; yet, the reading provides it. In fact, since I operate out of intuition and chaos, I tend to think that books meet our needs when we simply read them to enjoy them rather than when we read them thinking they’ll meet specific needs in our lives. Apparently, those needs are best met when we allow ourselves to be swept away by the story, to read it without distractions and to visualize the scenes as they happen rather than intellectually reading the words the way we might if we were studying a book for a college course. When I read, I pretend that I am right there in the middle of the action. After reading a few pages, it’s no longer pretence because the action really seems to be wherever I am. In spite of several cataract surgeries, my eyes tire more quickly these days than they did years ago. So, I’m likely to shut them for a few minutes to give them a rest. When I do this, I continue to see an unfolding scene. This is somewhat disconcerting because it’s not the scene the author wrote. It’s as though the characters continue doing their own thing while my eyes are closed with dialogue and action seem just as real as that in the book. When I open my eyes, I find that I’ve somehow wandered into an alternate future for the characters that began the minute I closed my eyes. This forces me to backtrack several pages to get back into the story the author intended. I have no idea whether or not this happens to other readers. Perhaps it’s an anomaly. Perhaps it’s my level of concentration and/or my writer’s intuition about routes the story could take next at any given moment. In general, I function better when I’m reading my favorite kinds of stories. They’re like powerful energy drinks. Reading helps my writing, too even though I never read anything similar to what I’m writing at the moment because I don’t want to be influenced by it, worse yet, borrow it without knowing I’m borrowing it. I don’t think it helps to pick up a novel and think, “Okay, I’m about to go on a journey.” That would be like taking a placebo, knowing that it’s a placebo. The journeys we take by reading books seem more effective when we don’t concern ourselves with the journeys and just let whatever’s going to happen to happen. After we finish a book, we might feel empowered or inspired or more confident in ourselves or ready to tackle difficult tasks. Personally, I prefer not to analyze this: I’d rather just allow it without trying to pin science and technology logic to the process. How about you? When you read the kinds of novels you like best, do you feel better off while reading them? Do you feel a lack in your life when you don’t have anything new to read? When you finish a book, does it feel like you’ve just returned home from a vacation trip? I can easily answer “yes” to all those questions, but I wonder where other people experience books in similar ways. When a reader buys a book that appears to be a novel, s/he has every right to expect a novel. That’s not what we get with “Juror #3.” Many novels include the words “a novel” on the cover and title page. This one doesn’t. Yet, the presentation implies a book-length story instead of a work that is essentially two short stories with many of the same characters. Without providing a spoiler here, suffice it to say that when the first court case suddenly ends midway through the book, many readers will be disappointed. The premise is interesting. Fresh out of law school, Ruby Bozart returns to Rosedale, Mississippi where she spent part of her childhood living on the other side of the tracks. She hangs up a shingle, expecting to get her start by practising family law. To her surprise, a judge assigns her to handle a high-profile murder case that appears to be a slam dunk for the district attorney. A black football star has been accused of murdering a white lady at a local country club where he was working as a waiter. He was found with the victim, his hands and clothes covered with her blood. Bozart is a compelling character. She’s smart and determined to fully represent her well-known client rather than walk through the case, and though she’s made her first friend in town–a fry cook at the local diner–she’s going to need substantial legal advice to go up against an experienced district attorney. As usual, there’s more here than meets the eye, including help from unexpected quarters: a savvy and out-of-the-blue law partner. As a true novel, the book’s first story would have had more depth and the support characters would have been more fully developed. However, all of the characters are real within the book’s theme and setting, so Patterson fans won’t have any trouble staying up past their bedtimes to find out just what the deal is with the man sitting in the third chair in the jury box. Once all is said and done and the case ends, Bozart’s former fiancé, the rich Lee Green, Jr., who comes from old money, asks Ruby to defend him against charges he murdered a prostitute in Vicksburg. He claims he’s innocent even though he was found passed out in a hotel room in bed with the dead call girl. Once again, Ruby is facing what appears to be a slam dunk for the prosecution. To make matters worse, the case has gotten so much press coverage in Vicksburg, Ruby doesn’t see how it’s possible for Lee to get a fair trial even if she really wanted to defend him, which she doesn’t. After all, their engagement ended because he was unfaithful to her. On top of that, his family never accepted her as worthy of him. She takes the case anyway. Like the first story, Ruby shows that in spite of her paltry courtroom experience, she can maintain her poise in a battle against an experienced district attorney who’s just as smug as Lee’s family. Yet she needs more help figuring this case out than she did with the first case. That is to say, while she has gut-feeling suspicions about the prostitute’s death, her partner handles most of the “heavy lifting” that gets Ruby out of a life-threatening jam. The second story contains many compelling twists and turns, but in general–in these kinds of books–one expects the protagonist to be the hero of the story. It’s probable that Ruby wouldn’t have survived to the end of the second case without her partner’s intervention. For many fans, this is going to weaken the story. Both stories could have worked on their own had they been presented as short stories even though each of them needed a little more depth even within Patterson’s trademark fast-paced style. The book would have been better if it had been presented openly as two stories. What a shame that it wasn’t put together that way. Now that I’ve finally promised my publisher a new novel and floated the general premise past her (she liked it), it’s time to do some research. Typical poster used to get the public to do their own knitting and donate a lot of it to the cause. Like the Florida Folk Magic Stories, this novel will be set in the Florida Panhandle, so I already know the area. This is one of the benefits of writing a series, or doing a standalone novel that uses the series as a starting point: you have a lot of location information on file that wasn’t used in the previous novels. Since my main character is a bag lady in 1955, I’ve been looking at clothing manufactured during the 1940s. Needless to say, a bag lady isn’t going to be wearing the latest thing from Paris or even from Sears Roebuck. There’s a lot of material available about 1940s women’s clothing inasmuch as it was greatly influenced by rationing and shortages. A lot of people were mending old clothes, making do with fewer fabric selections, and knitting socks for the troops (and themselves). So, I think I know what my bag lady’s going to wear. While the novel isn’t historical, I want the cultural references to be right. So, what was happening in Florida in 1955? I already know that the KKK was strong in those years. And I know that educator and activist Mary McLeod Bethune died in 1955 in Daytona Beach. My bag lady would know that because even though 1955 is part of the Jim Crow era, the story would be covered by the press. My bag lady is–for reasons I won’t divulge now–an expert bow hunter. This means checking on the kinds of bows and arrows used by hunters in those days. I had good luck with this. I found information about the most widely known brand of bow at the time along with a selection of arrows. Now, since this novel starts where the series ends, I have to make sure that I don’t contradict anything that happened in the series. So, I’m researching my own stuff to make sure there aren’t any continuity problems. For example, if a bad guy was killed in the series, I don’t want him showing up in the new book fit as a fiddle. By the way, “fit as a fiddle” is the kind of thing my bag lady would say–checking the slang of an era is part of the process. I’m surprised at the number of TV series that have characters from years ago using modern slang such as “whoa!” (meaning “wow!”) and other phrases that nobody said twenty or thirty years ago. When Diana Gabaldon (Outlander) and I were both in an ancient CompuServe literary forum, we found that we had one thing in common that a lot of writers weren’t understanding. The research has an impact on the story the writer is about to tell because it tips him/her off to things s/he didn’t know and is responsible for altering the plot of a novel in ways the writer wouldn’t have considered before the research phase began. I didn’t care for research projects in school–often for the purpose of writing “themes” as they were called in those days–but I enjoy them now. I once read that writers like Nora Roberts have a staff that includes researchers. While there are times when I wish I could pick up the phone and ask an assistant a question and get an immediate answer, I feel much more in touch with my characters and my story when I have to look up all the stuff myself. We go to the Blue Ridge Mountains a lot and have tended to stay in and around Asheville. So it was nice to get away from it all for the last five days and return to the Smoky Mountains. Did a little hiking and sightseeing and looked at the view from our rental cabin. Our nephew Taylor Campbell who, as usual, is concentrating on his cell phone. My brother Barry and his wife Mary drove up from Orlando with Taylor. Long drive. Makes me feel guilty (but only slightly) for our mere three-hour trip to to Bryson City from the Georgia mountains. The national parks theme seemed appropriate since we did a little hiking in the Smoky Mountains around Deep Creek. Now we have to recover from our vacation. 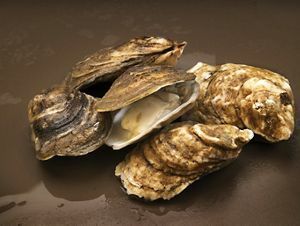 “Along Florida’s coasts, oysters play a vitally-important role in supporting healthy estuaries. Oyster reefs provide multiple benefits, from providing habitat and food for wildlife, to filtering water, removing nitrogen, and stabilizing eroding coastlines. Oysters are also a favorite cuisine for people and Florida once had robust oyster fisheries in many areas throughout the state. Storms, reduced river water flows, and pollution are taking their toll on oysters, including those along the Florida Panhandle’s gulf coast where I grew up and where I’ve set many of my books. I’m happy to see that the Nature Conservancy chose to study and solve this problem–one that’s worldwide, actually.